The education system in India is one of the largest in the world, with over 260 million children studying in more than 1.5 million schools across the country. 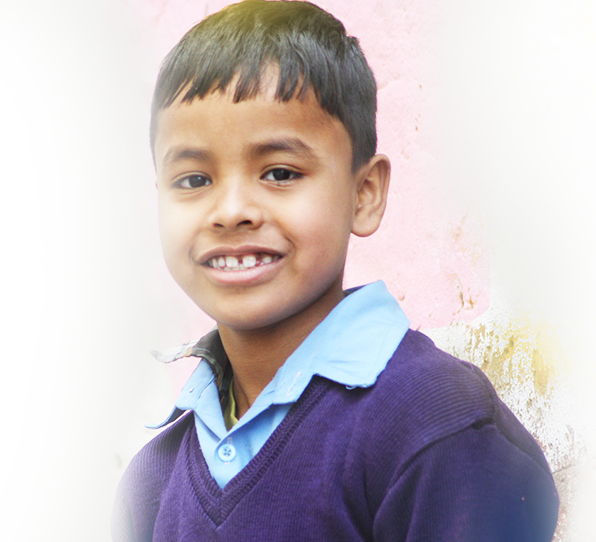 Today, close to 97% children in the age group of 6 to 14 years are going to school. Yet, children are not necessarily learning in spite of attending school. Several data sources have shown that each year an estimated 6 million children complete 8 years of compulsory schooling in India with alarmingly low learning levels. 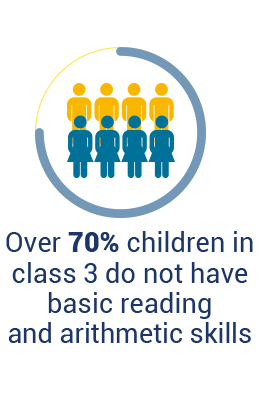 And the learning crisis starts early, with more than half of these children unable to read simple text or do basic mathematics at the level expected of them by as early as class 3. Without these basic skills, the benefits of education in later years are lost. We believe foundational learning, or children’s ability to read with meaning and do basic math calculations by class 3, forms the basis of all future learning. It is thus most critical to achieve foundational learning for all children in order to improve overall student learning outcomes in India and build an effective and inclusive education system. Foundational learning forms the basis of all future learning. 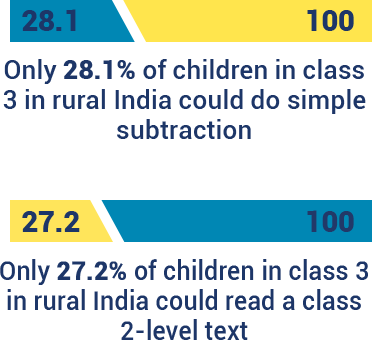 Those who fail to attain basic literacy and numeracy skills by class 3 find it difficult to catch up with the rigour of the curriculum in later classes and fall behind, creating wide learning gaps. This also increases the chances of these students dropping out of the school system altogether. For children from disadvantaged and low-income communities, the home environment is unable to supplement school education. Providing these children with foundational skills in the early years ensures that all students, regardless of their socio-economic background, are given equal opportunity to perform well in schools and are better prepared to improve their quality of life. Countries have moved from low to middle levels of performance by reducing the proportion of lowest performing children and ensuring that there are very few students who have not mastered these foundational skills. The examples of Vietnam, Brazil, Kenya and Peru show that making foundational learning a priority benefits not just the individual child, but also improves the learning levels of the country as a whole. Investing in early grades is also cost-effective – the highest rate of economic return comes from the earliest investments in children. By empowering individuals to take advantage of the extensive benefits of education in later years, foundational learning ensures better life outcomes. It is directly correlated to increased workforce participation and opens up opportunities for social and economic advancement. Research has also linked foundational learning to increased employability and higher GDP. The EFA Global Monitoring Report 2013-14 calculated that if all students left school with basic reading skills, 171 million people could be lifted out of poverty.